President Dmitry Medvedev has signed a decree banning entry to Russia as well as transit through its territory to Libyan leader Muammar Gaddafi, his family and high-ranking aides. 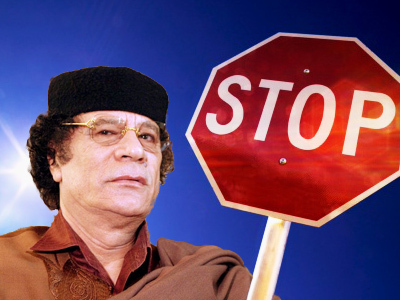 The ban refers to Gaddafi, nine members of his family and six people from his inner circle, including the Libyan Defense Minister, the Head of Gaddafi’s personal security, and the Head of the Liaison Office of the Revolutionary Committees. In addition, the decree freezes any financial assets belonging to Gaddafi, his four sons and daughter Aisha which are owned or controlled in Russia. 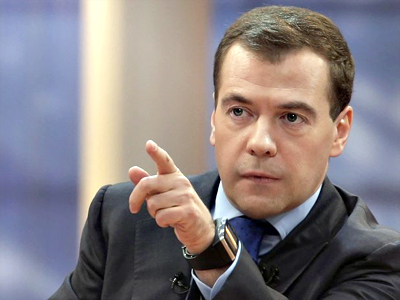 Earlier, President Medvedev signed a decree to ban the supply of arms, ammunition and military hardware to the North African state. Russia also stopped providing personnel training and technical services to Libya. In addition, all cargo shipped to or from Libya through Russian sea or air ports will be inspected in case there is information that the shipments may contain products banned by the decree. The move followed UN Security Council Resolution 1970, which was unanimously adopted by the organization on February 26 to respond to the bloodshed perpetrated by Gaddafi’s regime against the Libyan people. The Security Council urged the country’s authorities to respect human rights and stop the use of force against civilians. Moscow strongly condemned the bloody crackdown on anti-government protesters and joined the sanctions imposed by the UN resolution. Meanwhile, the latest reports from the conflict-torn country indicate that the situation is rather worrying and thousands could have been killed or injured as the Gaddafi regime is trying to hold its position by all means and regain control over strategic towns. On Monday, forces loyal to Gaddafi reportedly launched air strikes on the rebel-held town of Ajdabiyah. At the same time, revolutionaries reportedly regained control over the oil-refining town of Brega in Eastern Libya. As fighting in the North African state rages on, the international community is seeking a solution to the Libyan crisis. On Saturday, the Arab League called on the UN Security Council to introduce no-fly zones over Libya, which would prevent air strikes by Gaddafi forces. "The Arab League has officially requested the UN Security Council to impose a no-fly zone against any military action against the Libyan people," Arab League Secretary-General Amr Moussa told a media conference after the group’s meeting. 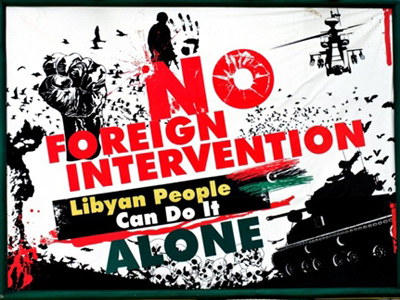 The 22-member group though rejected any "foreign military" intervention against the Libyan people. The no-fly zone idea has already been backed by three of the five permanent Security Council members, the US, the UK and France. Moscow said it wants more details on the proposal. “We want to understand what the Arab states actually want to see," Russian Foreign Minister Sergey Lavrov expounded at a media conference on Monday, following talks with his Dutch counterpart, Uri Rosenthal in Moscow. Referring to Amr Moussa’s comments, Lavrov said that the Arab League’s idea implies that certain restrictions would be imposed but, at the same time, Libya’s sovereignty would be respected and weapons wouldnot be used to suppress means of air defense, reports Interfax. 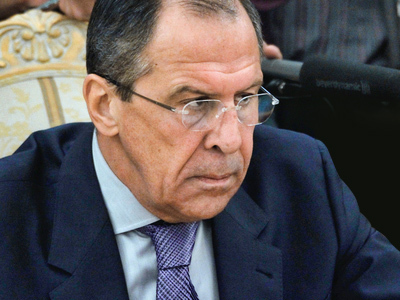 “The decision on introducing a no-fly zone can only be made by UN Security Council,” Lavrov stressed. He added that the council would thoroughly examine “all the ideas that may be submitted to the top authority in international peacekeeping and security”. Later on Monday, Russia’s top diplomat will set off for Paris, where the G8 ministers’ meeting is due to take place. The unrest in Libya is expected to top the agenda.